If you’re out on a ride when hunger strikes, there’s nothing worse than empty jersey pockets. On the bike snacks allow you the right food at the right time, not only keeping the hunger pains away, but also feeding your muscles and fighting off fatigue. A great guideline is that if you’re going to be out for anything over an hour, then take some snacks along. That being said, as much as the right foods can have a positive effect on your ride, the wrong foods can have the same amount of impact. Sweet snacks may be tempting when the blood sugar is beginning to drop, but it will just cause a bigger crash later. Having the right snacks with you, stashed in your jersey pocket, will set you up for a great ride. Bananas are nature’s energy bars, already wrapped and ready to go. Packed full of potassium and carbohydrates, you really can’t beat it for a mid-ride snack. You’ll want to be picky with which energy bars you take with you on your ride as so many are packed full of sugar they can have as much nutritional value as a chocolate bar. Check out the ingredients and go for ones with more whole grains, dried fruits and nuts as opposed to processed sugars. Even better you could make your own! The classic peanut butter and jelly (or honey) sandwich is a standby for a reason. Not only is it delicious, but it provides a great boost of lasting energy. Substitute the bread for a wrap so it doesn’t get squished and you’re on your way! Dried fruit and nuts are a great source of concentrated carbohydrates and potassium. Trail mix is also a great thing that you can make just the way you like. Head to the bulk food section of your grocery store and buy the mixins! (Maybe take it easy on the chocolate though). If the idea of nuts and seeds is a little dry, go for some dried fruit. It’s sweeter alternative, and is convenient to carry around. Most dried fruits retain their nutritious content, so feel free to snack away! While cyclists talk about dropping kilos, diet and weight loss might not be the answer. Weekly meal prepping and planning trumps the latest trend. Diets all work in the beginning, but they are not really creating healthy habits. You are constantly reminded of what you shouldn’t put in your body, instead of reminding you of what you should be adding to your diet. Weight loss plans remove fat, and carbs and reduce portion size. However, the simple concept of adding good quality foods to your diet will help fuel you properly, losing weight in the process. Meal prepping ensures you have what you need ready and available when you’re hungry, keeping you from backsliding into bad habits. Meal prep can mean something a little different to each person, so you have to find a system that works for you. At its simplest, it’s preparing some or all of your meals for a week at one time. The goal is to save you time as well as remove the common tendancy to eat what is easiest rather then what is best for your body. If you have a system down for breakfast and lunch, then just prep dinners for the week. Or, if you find yourself always rushing out the door in the morning and grabbing a croissant on the way to work, then prepping breakfast will be important for you. Although meal prepping will save you time and money in the long run, it does take an initial investment. Start off with some quality tupperware containers, BPA free is best as you will be using them to reheat meals. Also, having them all the same size will help you stack them easily in the fridge. Sit down on Saturday or Sunday night before your weekly grocery run. Start with broad strokes and general meal ideas. Having a plan will help keep track of the quality of calories you are adding, as well as a general idea of the quantity of calories. From there, you can start getting specific. Unless you’re already a super clean eater, prepping some plain chicken and broccoli for 5 meals a week just won’t cut it. Try planning two to three different meals, so you only have a couple days of the same thing. It’s not a fail-safe solution, but seeing fish taco Tuesday is exciting, for one, and two, if you’ve shopped for the ingredients and they are in the fridge already, it’s much harder to order Pad Thai from across the street. The meal plan will take all of 10 minutes, and will help you fuel your work week, and your weekend rides. Knowing what you are cooking for the week makes doing a weekly grocery shop easy. No more wandering around the grocery store impulse buying. Having the bulk of your produce at the beginning of the week allows you to get home and unwind instead of adding the task of picking up groceries on the way home from work. It doesn’t sound like much, but with the food already in the fridge, you can start food prep earlier, and get to the good part! Picking up a couple of missing or forgotten items during the week is more manageable once the bulk has been taken care of. This is the part that will take the longest, but once you get into it, it can actually be a lot of fun. Use the time to catch up on some podcasts, or hang out with you significant other and prep together. Again, there are a lot of different ways to go about this, so you have to find what works for you. You can completely pre-cook a couple meals and then split them into containers to last you the week. Or, you can get everything ready to cook so it’s easy to throw together after work. Vegetables can be especially tedious to wash and chop, but once done you’ll find you use them a lot more readily. Cyclists should be focusing on what they can add to their diet to improve energy levels before, during and after rides. The calories and nutrients that you deprive your body of during the week will leave you feeling flat by the time you get to your next ride. Challenge yourself to be more mindful of how your body feels during a ride. Were you dropped that last time you rode on an empty stomach? If so, then try different approaches to see what works for you and has you feeling your best both on and off the bike. Meal prepping and planning isn’t about sticking to a strict diet, but being mindful and planful when it come to what you’re putting in your body. We all have moments of weakness, but when you’ve taken steps to avoid the temptation altogether by having healthy, nutrient filled meals on demand, it’s a whole lot easer to forget about the junk food. Snacking is the most dangerous part of your diet. Chips and salsa is great if they accompany Fish Taco Tuesday, but not great if they creep into a nightly routine. Planning your snacks will help. Nuts and dried fruit are a cyclist’s best friend (try dates, figs and apricots they are underrated). Keep these in the pantry so they are easy to grab when a salt or sugar craving springs up. These nutrient-dense snacks can be sweet, salty and fatty but they are also providing your body with valuable resources that corn chips can’t. If you’re trying to lose weight, riding your bike will be the biggest tool at your disposal. Adding volume to your weekly regime will shift your current caloric balance in your favor, but be warned – adding kilometers will also have you craving more food (pro tip: add good calories)! If you are training with any kind of intensity, losing weight might be harder than you think. When you train with intensity your body will add muscle while shedding fat. This change in body composition replaces dead weight with functional muscle mass. This is why focusing on a number goal it’s always the best option. Instead, paying attention to the quality of the foods you put in your body will allow you to ride more, faster, and more frequently. Whether it’s the time of year or your diet, sometimes you’ll find that your energy is just zapped. If all you want to do is crawl into bed and binge watch the latest Netflix show, then you may want to take a look at this list of energizing food for cyclists. Not only can they help you shake that ‘blah’ feeling, but they will have you feeling strong both on and off the bike. We all know an apple a day keeps the doctor away, and you may be on board the kale train as a nutrient dense food, but what about celery? It may just be the unsung hero you’ve been waiting for, without the bitter taste! Celery contains apigenin, which is powerful in its anti-inflammatory action and can help with recovery. It is also packed full of nitrate (which also made beetroot juice so popular), which can help reduce the energy cost of exercise, positively affect muscle contraction, and up your overall energy. 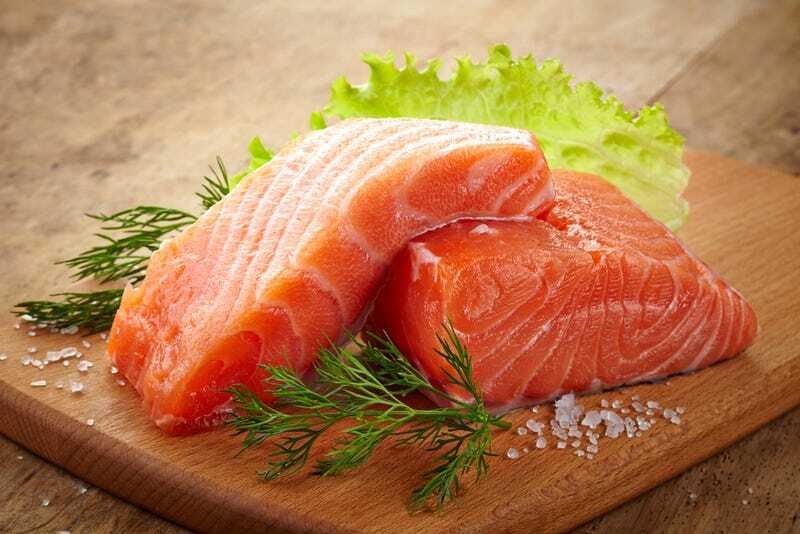 Low levels of omega-3 fatty acids has been linked to low moods and energy levels, so getting your fill of fatty fish can help give you a boost. Many of us get plenty of the unhealthy fats, but are lacking the healthy ones in our diets. Try wild salmon, herring, sardines, or anchovies as a means to get your brain functioning to its fullest potential, and aid in the absorption of vitamin D.
If you are craving some comfort carbs, try some oatmeal before you reach for the pastas and potatoes. Carbohydrates trigger the feel-good emotion of serotonin (which is why they can be dangerous), but you can use this to your advantage. Real oatmeal, not the instant kind, can act as a slow release carb, sustaining you over time rather than spiking your energy. Plus, you can load it up with things like nuts, fruit, and even maple syrup if you’re in need of some sweetness. Rich in iron and magnesium, hemp seeds can aid in the transportation of oxygen and muscle contractions. They are also packed with protein and those fatty acids your body needs, so can make a great addition to your smoothies, salads, or stir frys. Lentils are your ultimate pre-ride fuel, but can also be a great addition to your everyday diet. Used by vegetarians as a healthy and hearty source of protein, lentils also provide slow burning calories. Relatively speaking they are low in calories and high in mineral content (especially iron), which can help your muscular endurance. Lentils can be used in place of pasta, replace meat in soup, or even be cooked into your morning omelette. Milk can be a good source of “the sunshine vitamin D,” which effects hormone balance and immune regulation in the body. With the lack of sunlight over the winter in a lot of areas, energy levels drop and many people have depleted immune systems. Raw milk can be a great source of vitamin D, but you can also get it in supplement form. Coconut is calorie dense, and can work as a fast-acting source of energy. Coconut oil specifically is rich in fatty acids that can help your endurance reduce blood lactate levels, as well as including a hit of vitamin C and electrolytes. You can put it in smoothies, or use it to cook with in just about anything! If you’re on your third cup of coffee and it’s just not cutting it, green tea can help stimulate those brain waves. High in an amino acid called L-theanine, it can increase your alertness while also giving you a hit of caffeine. We all know bananas are packed full of potassium and magnesium, making them a go-to choice for athletes. They can help prevent muscle cramps, and they’re great for digestion. You really can’t lose, so grab a banana for the perfect snack. If you’re craving a hit of sugar, then curb that feeling with some dark chocolate. Not only does it release that feel good serotonin, but is also causes a release of endorphins that can pick up your spirits on a dreary day. Everything in moderation though, and keep it to just a few squares rather than the whole bar. Cycling nutrition is about more than just what you’re eating. You have to take into account how much energy you’re spending, and ensuring you are getting the right nutrients at the right times to feed those muscles. Whether your goal is weight loss, or to simply feel better and stronger on and off your bike, there are some mistake you’ll want to avoid. As we reach the end of January, those New Year’s diets and resolutions may be already slipping into the background. That may not necessarily be a bad thing. When we focus too much on diets or what we can or cannot do and eat, it is easy to fall off the bandwagon. You want to establish a healthy lifestyle, rather than a simple health kick that will come and go before you can experience any real changes. Here are some of the most common nutrition mistakes that cyclists make. Reduces risk of craving or overeating later. That being said, don’t go stock up on breakfast cereals. Think smoothies, oatmeal (not the instant kind), fresh fruit, eggs, and whole grain toast. If you don’t eat, then you’ll lose weight, right? No. Not only can that mentality can create the starve-binge eating pattern, but it’s also hard on your body. If you go too long without eating, when you do eat you are more likely to eat too much or eat the wrong things. This surge of insulin sends fat storage into overdrive, which is counterproductive to weight loss. You should never go more than four hours without eating. Snacking can be your friend! Avoid high sugar snacks that will spike your blood sugar and then lead to a crash, but instead nibble on foods that will sustain your energy levels throughout the day. There’s a bit of a misconception when it comes to carbo loading. Despite popular belief, it is not eating as many carbohydrates at a meal the night before a ride or event. That gigantic plate of pasta the night before your big ride is not carbo loading– it’s just a really big dinner. Most athletes do not even need to carbo load. The need arises if you are going to be pushing yourself at moderate to hard efforts for 2+ hours without access to food. The goal of carbo loading is to ensure that you have maximum glycogen in your body for an an endurance ride or race. Glycogen is the fuel that powers your muscles, but there is an upper limit to how much glycogen a body can store. Recent research has revealed that it is most effective to do a short but intense workout before carb loading. This will make your muscles hungry for carbs so they will grab and store them for the upcoming event. You’ve just finished a hard ride, so you’ve earned that large pizza, right? Not so much. It’s easy to eat just about anything that comes across your path after a ride, so make sure the right things cross your path. Plan a post-ride snack or meal ahead of time to save yourself from temptation. Life gets busy, and it’s not always realistic to be sitting down to eat dinner at 5pm. Especially if you are training after work, you may not get home from the gym or a ride until 8pm. However, eating a big meal right before heading to bed can not only affect your sleep, but it also increases fat storage. The easiest fix is to try have your main meal at lunchtime, then have a small meal in the evening before you go to bed. With packed schedules it can be hard to have the time to sit down and eat slowly, but it’s important. Eating too fast results in eating too much. It takes about 20 minutes for your brain to catch up and tell you’re body it’s full, so if you just plow right through you’re going to miss those signals altogether. It may tempting to starve yourself to reach that ideal weight and achieve that lean look in your lycra, but there are much healthier ways to get there. Eating disorders are surprisingly prevalent within the cycling world, and we need to be careful with our habits and our words (and how they may impact those around you). We should replace talk of losing weight with eating healthy and training hard. Everyone has their own reasons for cycling, whether it be that feeling of freedom out on the open road, a way of commuting, or a means to be able to eat whatever you want. (Not going to lie, being able to enjoy a beer guilt-free is worth putting in a few extra miles). No matter what kind of exercise you’re doing, most of us want to know the number of calories burned. Something like running is a little easier to calculate because it’s solely your body powering movement. Cycling, however, includes wheels, which complicates things when it comes to calories burned climbing versus cruising downhill. Understanding energy output compared to input is important, especially when it comes to working towards weight loss. There are lots of charts and equations out there that will take your weight and the length of your ride and spit out a number representing the calories you burned on a ride, but just how accurate are they? There are a lot more factors at play here than may be realized at a glance. A calorie is simply a unit of energy, but it can cause a whole lot of confusion and debate. Yes, 500 calories of twinkies may be the same amount as 500 calories of carrots, but are the two really the same thing? The “how much” is equal, but that “what” is radically different. It’s not the number of calories that is important here so much as how they make you feel. Foods that are calorie dense and nutrient light won’t make you feel satiated causing you to eat more than your realize. How important is calorie counting? Your calorie intake is as important as you make it. The reality is, most of us have no idea how many calories we consume in a day, let alone how many we burn. We notice when we get a little thicker around the middle, but may have misconceptions as to just how many calories are needed before and after a long ride. It’s true that weight loss comes down to the simple matter of calories in versus calories out, but that doesn’t mean those calories can be from whatever you want. The type and quality of those calories determines how efficiently they are turned into fuel for your body. What you should eat to prepare for a time trial day versus a long slow distance are actually different. High intensity workouts draw from carbohydrates, which quickly turn to fuel for you muscles, whereas easier, longer rides will burn a higher proportion of fat. Calorie counting is one way to make you more aware of what you’re fuelling your body with, but it’s about so much more than a number. Not all calories are created equal, and you want to focus more on what is sustainable rather than depriving yourself. The number of calories you burn may be the same no matter what, but ensuring those calories come from the proper places will make all the difference in your performance. Basal Metabolic Rate (BMR) – Your BMR is how many calories you burn at rest, consisting of the energy it takes to keep all your body’s systems operating. Activity Level – Your activity level is the calories you burn when your body is in motion. This can be broken down by taking the speed and duration of your ride in comparison to your weight. Thermic Effect of Food – The thermic effect of food is the energy it takes to digest the food you eat. Intensity – Measured by your heart rate or with a power meter, intensity has a huge effect on the number of calories burned. If you ride one mile at your maximum effort in three minutes, you will burn the same amount of calories than if you were to ride the same mile over ten minutes at a more leisurely pace. It’s essentially shortening the amount of time to spend the same amount of calories. Gender – The larger you are, the more calories you burn in your burn day-to-day as well as when exercising. As men are generally larger than women, they burn more calories. Aerodynamics – This is not just wind direction and speed, but also your position on your bike and your build. If you have more surface area open to the wind, it will take more energy to push through a headwind. Aerodynamics is a hard thing to measure, so it is most often not taken into account. Weight – Be as accurate as possible with your weight (don’t lie to yourself), because the energy it takes for a heavier person to ride the same distance as a lighter person is different. Duration– Generally speaking, the longer you ride, the more calories you will burn. The table represents rough estimates of how many calories you burn when cycling, running and swimming for an hour at different intensities. *This Article was contributed by TORQ USA whose products are based around science and natural ingredients for optimal performance. You can find their products in our I Love Bicycling Shop. The most commonly overlooked cause of cramping is actually ‘over-exertion’. You could be doing absolutely everything right from a hydration perspective, but it’s just that you’ve asked your body to do more than it’s used to doing. It makes sense really doesn’t it? If you’re calling upon your body to do stuff it’s just not used to doing, it’s going to say ”Look mate, you’ve asked a lot of me in the past, but this is new territory. You must be joking, thus I’m going to punish you with pain…” (queue titanic contraction of hamstrings and calves). The solution is simply to introduce some harder, more focused riding into your week. The more riding you do, the higher your cramp threshold will become, so in short, you need to build up your fitness. Bizarrely, if you fuel and hydrate yourself properly (which will be discussed later on in this article), this will allow you to maintain a higher power output on the bike for longer, which in turn will put your muscles under more strain, which can then lead to cramping! I do think it’s very important not to get ‘cramp hang ups’ though, because cramping due to over exertion has to be a good thing. It’s a clear indicator that you’re overloading your muscles and causing adaptation. When I get to the point in my ride/race that I’m getting little twinges of cramp, I know that I’m breaking into new territory and pushing the boundaries. Once I’ve rested up afterwards, I’ll be stronger for it, so the rewards will be sweet. The diagram below shows how short term over-exertion will bring rewards in fitness providing you give your body sufficient time to recover. Remember that over-exertion comes in two forms, duration-based and intensity-based. If you can ride for hours, but cramp up on climbs or in races, you need some more intensity in your training, so think about doing some intervals or shorter harder rides. On the flip side, if you’re good at the fast stuff, but cramp on longer rides, you need more endurance, so try to get out and ride for longer (i.e. base riding). With this said, dehydration can’t be ignored as a cause of cramping. Quite simply, if fluid and electrolyte intake doesn’t equal fluid and electrolyte loss, you will start to dehydrate, so you need to address high perspiration rates by putting more fluid and electrolytes back in to your body. Normal table salt is made up of Sodium and Chloride (2 of the electrolytes), but you will also need Magnesium, Potassium and Calcium – 5 ‘core’ electrolytes all together. Electrolytes are necessary elements for muscular contraction, so it doesn’t take a genius to work out that if you start to lose these valuable salts, your hardware’s going to start coughing and spluttering. And no, there is no one magic bullet electrolyte, thus we cannot overstate this, you need to sufficiently maintain adequate levels of all core electrolytes as well as some other nutrients. A bit further into this post we get into electrolytes in more detail. In order to prevent dehydration, you’ll need to consume fluid, as well as fuel sufficiently. For the purpose of this post, we will focus on the hydration part. So, how much fluid you take on board will depend entirely on the environmental conditions that you’re exercising in. If you’re exercising indoors or in dry or hot conditions, you’re going to lose more fluid than in cooler or more humid conditions. The paradox is that you actually feel like you’re losing more fluid in humid conditions when actually you’re not. Sweat drips off you, but because evaporation rates are lower, you won’t actually perspire as much and your thermoregulation systems will be much less efficient at driving heat away from your body. So as not to confuse the matter though, let’s make this assumption: You will perspire more and have greater fluid losses in hot than cold environmental conditions: You will perspire more at higher than lower exercise intensities and finally: You will perspire more in dry than humid environmental conditions. As an aside, it’s a little known fact that we are actually self-hydrating organisms. Through our metabolism (oxidative phosphorylation), we actually produce water as a bi-product and according to Wilmore & Costill, authors of ‘Physiology of Sport & Exercise,’ during rest we actually produce 150 to 250ml per day. In addition to this, a 155lb cyclist will also produce about 150ml of water per hour during intense exercise. During very cool weather, this would help to explain why one has to get off the bike to have a pee every now and then. It’s a combination of this canny self-hydrating mechanism and perhaps drinking a little too much for the environmental conditions. They help to replace electrolytes lost through sweating (in case you hadn’t noticed, sweat is salty). Sodium and Chloride help to maintain the volume of the blood and also help to transport nutrients into cells so that they can be used for energy production, tissue growth and repair. Potassium is present in much higher concentrations in the muscle cells than in the blood, so losses through sweating are much lower than with Sodium or Chloride. Potassium deficiency would typically be symbolised by muscle cramping. Low magnesium levels are linked to muscle fatigue and cramping too, but again losses through perspiration are less substantial than with Sodium and Chloride. Electrolytes help prevent hyponatraemia. This is a rare condition that affects ultra endurance athletes and is also referred to as ‘water intoxication’. If you consume water-only or an energy drink without electrolytes over a long period of time, the combination of sodium chloride loss through sweating and the dilution of the remaining salts in the blood steam with the fluid you’re taking in can cause headaches, cramping, loss of strength and nausea. If left unchecked, this could become quite a serious condition. Note that TORQ Gels also contain all 5 core electrolytes. Following our TORQ fueling system, you can hydrate and fuel with 2x 500ml bottles of TORQ Energy mix (2 TORQ Units), and 1 TORQ Gel per hour to achieve optimal 90g carbohydrate per hour, as well as be fully topped up on fluids and electrolytes for even the worst conditions. So, in summary, when perspiration rates are high, do not consume bars or gels, just drink an electrolyte-containing energy drink mixed at 6% carbohydrate – and drink as much as you can (up to a little more than a liter per hour). This is the quickest way to hydrate and you’ll be fueling yourself adequately by virtue of the fact that you’re consuming significant quantities of this 6% solution. When perspiration rates are low, drink less or you’ll be taking numerous ‘comfort breaks’ and satisfy your energy needs through more concentrated ‘dryer’ forms of energy like gels and bars. TORQ’s assortment of products to help you achieve optimal performance, not bonk, and stay hydrated for your ride can be purchased by clicking the image below.